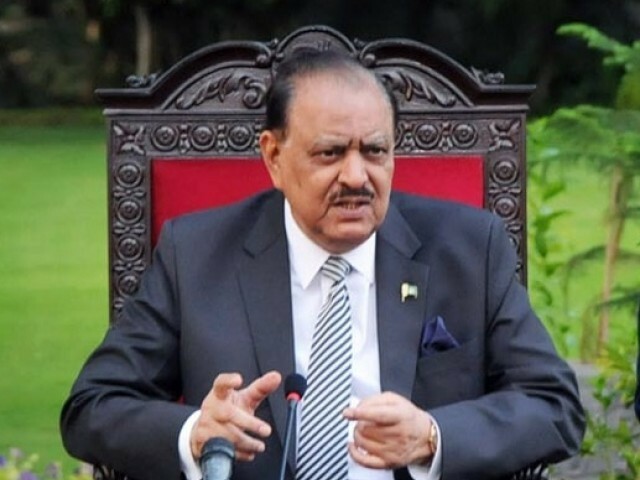 ISLAMABAD: President Mamnoon Hussain said that the nation needs to be united to tackle terrorism while addressing the International Seerat-un-Nabi (PBUH) Conference in the federal capital on Saturday. He further said that miscreants carried out an attack in Peshawar on the occasion of Eid Milad-un-Nabi (PBUH). Nine people were martyred and more than 30 injured after terrorists attacked the student hostel inside the Directorate of Agriculture Extension on University Road in Peshawar Friday morning. On the conference, he remarked that it is important to resolve the countless issues across the world. The event seeks to highlight the teachings of the Prophet Muhammad (PBUH) and reward authors of books and research papers written on his life. An official informed APP that around 2,500 people from all walks of life, including Ulema, scholars, students of religious seminaries and universities, and representatives of chambers of commerce and industry are attending the conference. Twenty scholars from Jordan, the United Arab Emirates, Tunisia, Morroco, Indonesia, Turkey, Kazakhstan, China, Bahrain, Egypt, Algeria and Afghanistan would participate in the conference, the official added.